Casa Principessa is a beautifully restored farmhouse situated in the famous Golden Triangle area of Le Marche with magnificent views of the villages of Gualdo, Sarnano and the majestic Sibillini Mountains. The house, parts of which date back to the 1700s, was uninhabited for 40 years before being lovingly restored by local artisan builders using old stones, tiles and wooden beams found within the property. It has been transformed into a charming and comfortable villa. The interior is a beautiful mix of 200yr old wooden beams and modern appliances including wireless internet. The poperty includes three alfresco dining areas, magnificent pool, barbecue and original 150yr old pizza oven. The main house consists of 3 levels and there is a two-storey outbuilding. Also on the property is another 200yr old building which has been made stable and safe but is not habitable and is not rented. Picturesque town of Gualdo is 1.6km away and the larger, charming spa town of Sarnano 10 mins away. There are two living areas in the property. Downstairs with lounge seating, open fireplace and bluetooth music connections. Upstairs with lounge seating, TV & study area. 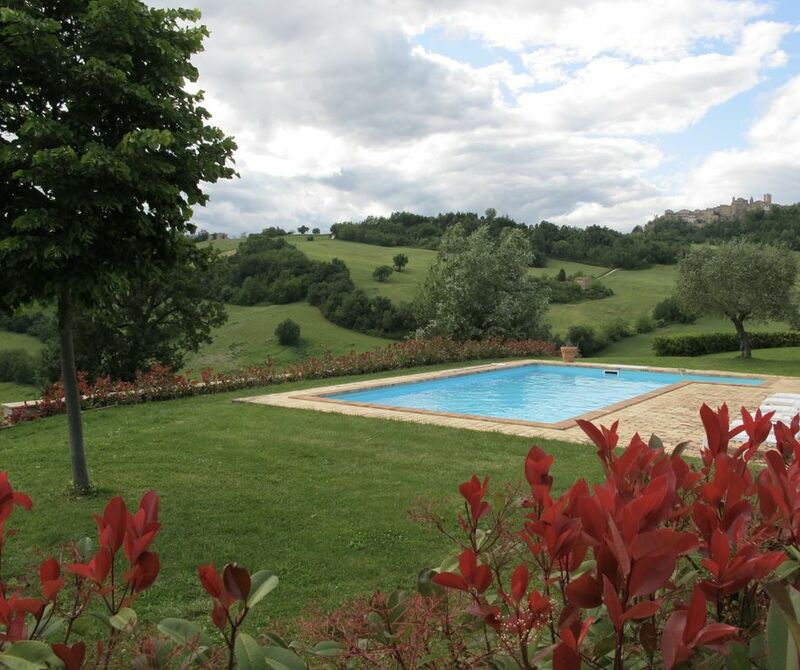 La Dolce Vita at this beautifull villa with stunning view of Monte Sibillini. We ( 2 families , 8 persons)had a Great summer holiday at Casa Principessa. The villa is very well equipped and spacious. Located amidst fields within walking distance of Gualdo and a Great restaurant ( L’infinito a tavola). From the terrace and pool you have a fantastic view of Monte Sibillini and Sarano. Very peacefully located and perfect to relax. Returning to this wonderul villa once again. Excellent location, high standard overall. Casa Principessa is a comfortable, beautiful farmhouse. It is reasonably priced, and located in a quaint, slow, quiet town. The owner responds quickly, and the property manager is friendly and helpful. If you are looking for a resort feel (the property) and in an in-touristy town, this is the place for you. Elizabeth it was a pleasure to welcome you back to Casa Principessa. Thanks for your kind words. The local village of Gualdo is a small, welcoming community. It's appeal is that it is not a tourist village and I know that Elizabeth meant to say 'un-touristy' town in her remarks. Thanks Paul. Great to hear that your family are relaxed and have recharged the batteries after your stay in Gualdo at Casa Principessa. That's what it is all about! This is the place! Nothing more to add. Spend the most lovely holiday in Casa Principessa - truely one week in Paradise. Not only is the house and the nature around it truly top class in every sense. The stay also was made perfect all the way from how you are welcomed, to the guiding to restaurants and places to go or things to do, to the kindness of the people meeting you there- we even had the forgotten sunglasses sent home to Denmark with a smile. Same goes for the recipe for the lovely welcome cake. Can’t think of one single thing that could have made it a better stay. Very beautiful house, both its interior, garden and surrounding!! The above rates are for up to 8 people. With the use of the fold-out divan, Casa Principessa can accommodate 10 people. Extra people (above 8) are charged at the rate of euro 150 per person per week. A maximum of 10 people applies.